Rudy Hartmann kicks off a new series highlighting the best ideas from college ministries of all shapes, stripes, and sizes. Up first is Troy Maragos, who says making summers count is their best idea ever. 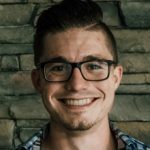 In this series, we’ve interviewed a variety of college ministry directors and pastors, campus-based and church-based, in different sized ministries and multiple ministry contexts and have asked them a simple question: “What is your best idea?” In our desire to elevate and advance College Ministry, we see this idea-sharing as a key to spreading some of the best practices and strategies across our tribe. At this point, you’re probably asking yourself the same question I was asking myself at this point – why is Troy, a 32 year old stud with a degree from Moody and 8 years of part-time and full-time staff experience with Harvest Bible Chapel, at a retirement community in southwest Florida, a half hour from a college campus? Okay, let’s recap: Retirement community. No local college campus. No previous, formed college ministry at the church. Quadrupled in growth. Just had 10% of their active list come back from a mission trip to Los Angeles. I had to know what was going on. But Troy sees things in a different light. Another unique upside to making summer count was found in the graduating High School Seniors. “These incoming Freshmen, for the most part, are going to go away to school during the academic year, so we have the summer to let them know that when the come back for weekends, holidays, and breaks that their home church loves them, cares about them, and has a place for them.” Freshmen. Freshmen. FRESHMEN. Twenty campuses. Twenty unique mission fields. The college ministry of FBCN over summer isn’t a social event-driven means for students to have something fun to do — as Troy informed me “I’m a pastor, not an event planner.” No, the ministry becomes a hub for student missionaries to be trained and equipped and sent out to twenty unique mission fields for the majority of the year, where they can reach other students, impact their campus, and shift the culture, knowing all the while that their home church loves them, cares for them, and has a place for them as soon as they return home. How do you make summers count in your ministry context? How could you take what you do now to the next level? If a student entered your ministry with their standard and expectation being having 2-3 intimate relationships with Christ Followers, how would they enter that space? Does it exist in your ministry? How could that benefit your discipleship process? What would a clear, intentioned process of seeing graduating seniors from High School getting plugged into the ministry over summer look like? How would summer ministry change if you looked at it as more of an opportunity to train and send out to other campuses? What if summer ministry became your “hub” to send student ministries out to other campuses? How could that shift how to view your summer-time with students?